Euchee Creek Bridge, Lincoln Co. 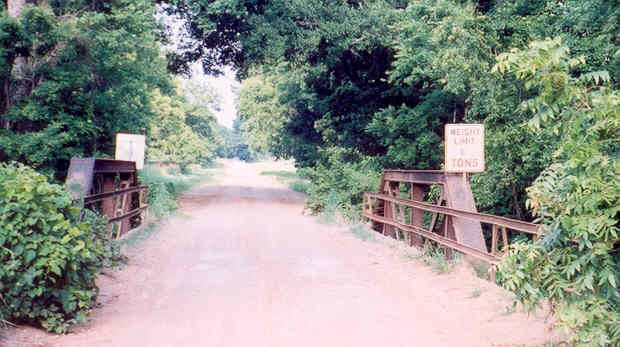 This bridge, built in 1920, actually sits on the Payne/Lincoln County lines east of Cushing. It is a state-standardized design, but seems to have suffered some calamity, at least we think based on the non-standard parts we found. Above, a general deck view of the bridge. The bridge is actually 3 spans, but note how it appears to end after the truss span. The truss span is a riveted Pratt, and is 80-feet long. Below, under the far span pictured above. The two approach spans were originally built as concrete-decked steel stringer spans, until one collapsed. 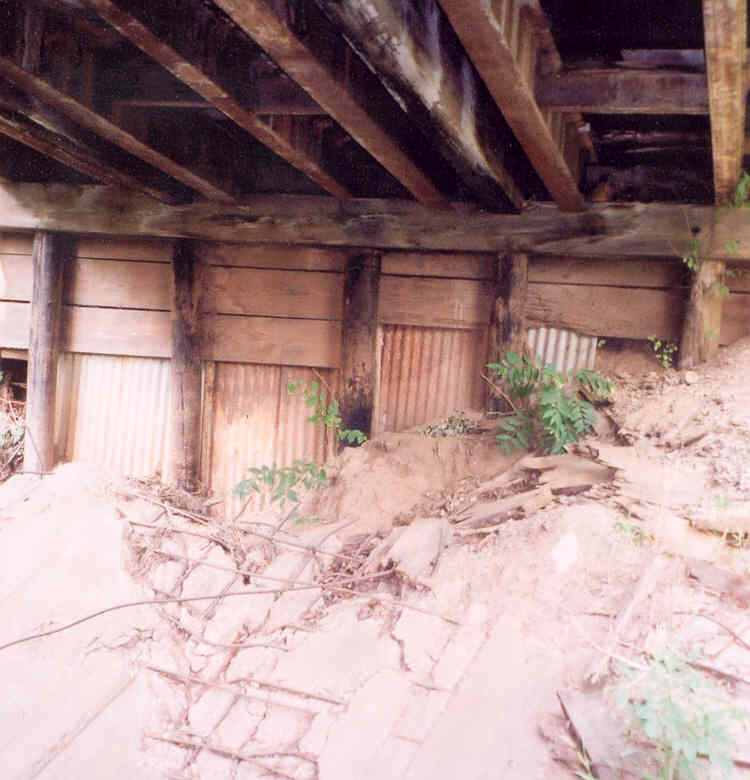 The deck of the collapsed span is pictured here, bottom side up. The replacement span is a curious combination of wood and steel on wood piles. We were unsure, but it appeared that the original concrete abutment toppled over from erosion undermining its base, thus causing the span to collapse. Below, another view. Safety railing were never (big surprise here!) reinstalled on the wood-decked rebuilt span. The decks on the original spans are concrete with a curb.